If you know me, then you know that I LOVE Halloween. I work (just about) all year long on props and decorations for our annual yard haunt. Come the big night, I recruit the help of my family to hand out candy, assorted goodies, and scare the crap out of trick or treaters. As far back as I can remember, I have always loved Halloween the most of all the holidays. Mom would always let me decorate the inside of the house with glow in the dark cardboard ghosts and flocked cat decorations. The thing I remember the most was watching her yelling at a teenager for kicking in my jack o lantern after he had gotten his candy. I was devastated, but what do you expect from a 5 year old? What was I talking about? Oh yeah... after I graduated college and had a house of my own, my love for that one certain day just got stronger. After searching the net, I discovered that I wasn't the only 'weirdo' with Halloween always on my mind. I couldn't believe it, there were people out there that made their own elaborate props and decorations and haunted their yards. 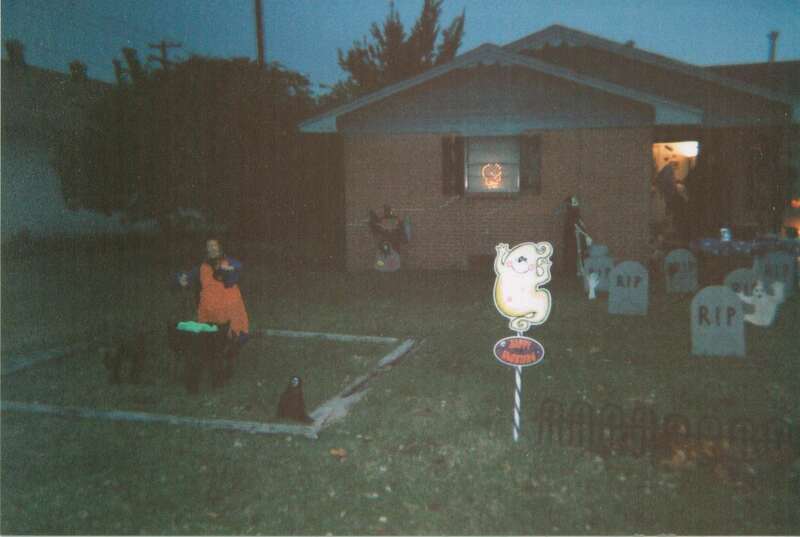 So in 2001 I attempted our first yard haunt. 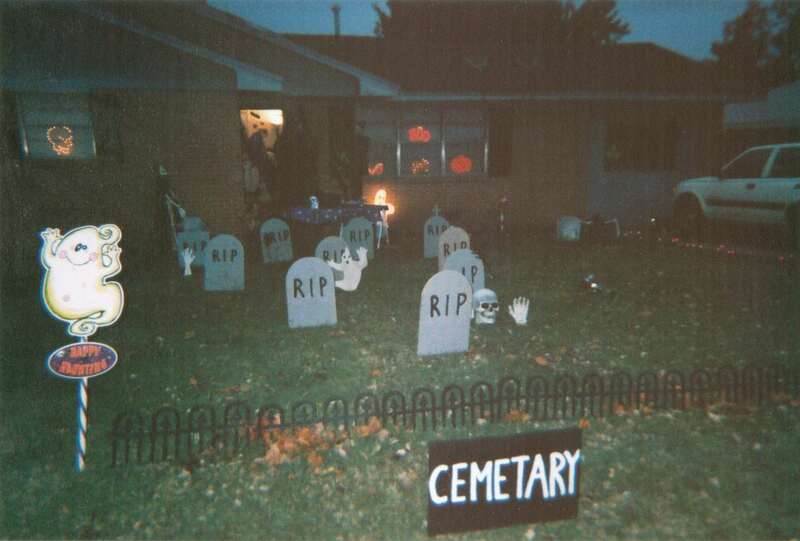 It consisted of a yard full of organized tombstones, a plywood ghost, a non life size reaper and a misspelled cemetery sign. The neighbohood kids ate it up and that was all the motivation I needed. So here we are, 13 years later. With neverending help from my groovy Halloween fiends, family, and my favorite Coopster, I have become the Halloweenfreak you have today. If you have nothing else better to do, then feel free to stop and look around for awhile. If you have any questions or suggestions, then drop me a LINE, I'd love to hear from you.